I certainly agree, federal employees should be able to direct their retirement savings into companies with socially responsible businesses practices – also known as sustainable, responsible and impact investing (SRI). SRI in the United States has grown substantially. 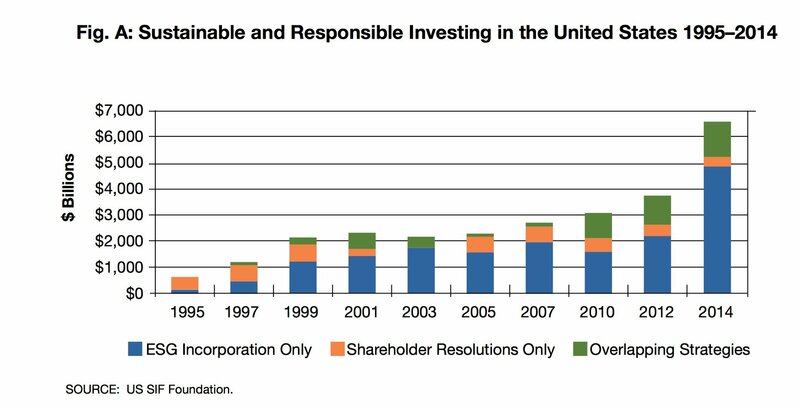 The total US-domiciled assets under management using SRI strategies expanded to $6.57 trillion at the start of 2014, according to the US SIF Foundation’s latest biennial survey, the Report on US Sustainable, Responsible and Impact Investing Trends 2014. Federal employees shouldn’t miss out. Every year millions of American workers contribute a portion of their paychecks to a retirement plan, and many of them can choose to direct their retirement dollars to be invested in This may not be a household term, but its effects can touch every aspect of our lives. SRI investments address a range of issues including climate change, fair pay, environmental risks, human rights, community development, and product safety – areas that many of our public servants dedicate their careers to tackling. But right now, there is an entire class of investors that does not have access to SRI funds: employees of the federal government. Adoption of legislation to correct this is long overdue. Good corporate practices are often an indicator of sound management, financial success, and long-term stability, which is why a wide range of institutional investors have turned to SRI options. According to the recently-released US SIF Foundation Report on US Sustainable, Responsible and Impact Investing Trends, SRI has experienced double-digit growth over the last two years. According to 2013 year-end estimates, SRI totaled $6.57 trillion, or more than one out of every six dollars under professional management in the United States. SRI assets are a significant part of the US financial market, allowing investors to pursue competitive financial returns with companies committed to responsible business practices. With more and more investors using their hard-earned dollars to encourage business practices in line with their personal beliefs, it’s time to give federal employees the same option. Congress should pass legislation to allow federal employees to make SRI a full part of their retirement plans. 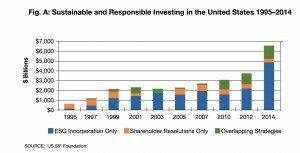 The Federal Employees Responsible Investment Act, S. 1746 and H.R. 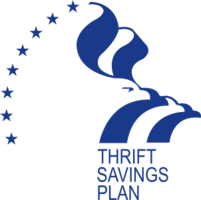 3563, which we introduced this past Congress, would direct the Federal Retirement Thrift Investment Board to select a “Corporate Responsibility Index” as an option for the retirement savings plan for federal employees – called the Thrift Savings Plan, or TSP. Our bill would allow federal workers to direct their retirement dollars toward more sustainable and socially conscious investments.By providing an SRI option for federal employees, the federal government would be in the company of most of our states, scores of cities and counties, and numerous private companies. And with more than 2.9 million employees contributing to the TSP, the federal workforce could send a powerful message about the value of corporate responsibility. The money we put towards our retirement helps shape the world in which we will live. Decades from now, our oceans will have taken more land from our shores, temperatures will be hotter, and world population will have grown by billions. Actions we take today can improve the future of our planet. SRI can advance these efforts by empowering all those who choose to put their money where their heart is. Our Rhode Island representatives face an uphill battle. A 2012 Government Accountability Office report argued that adding such an option would not provide any long-term benefit to the Thrift Savings Plan. Why should any such reform have to be good for the Plan, if it is good for Plan participants? Additionally, the board that oversees the federal retirement plan has not embraced previous attempts to regulate Thrift Savings Plan investments to better align with social and moral concerns. Important new research does buttress their arguments. Indrani De and Michelle Clayman did a study entitled The Benefits of Socially Responsible Investing: An Active Manager’s Perspective, which found a clear relationship between environment, social, governance (ESG) ratings and stock returns. Higher return companies in aggregate had better ESG ratings. There was a strong negative correlation between ESG ratings and stock volatility, and this relationship was stronger when market volatility was higher. Fund managers can get diversification benefits by choosing stocks with better ESG ratings, especially when markets are more volatile. The risk-adjusted return turned significantly positive in the recent years and this positive correlation strengthens further by excluding the lowest ESG stocks. Introduce legislation to require all funds, including the Thrift Savings Plan and customized funds not offered to the public, to provide records of their proxy votes that are easily searchable on the internet. The SEC requires that all mutual funds report their voting policies and records. However, the Thrift Savings Plan and other such plans are not required to required to link to such reports and customized funds are not even required to make such disclosures. They should be required to do so. How do beneficiaries know if funds are being voted in their interests, as required by law, if votes aren’t disclosed? This would be very easy to do. Most funds subscribe to proxy advisory services offered by ISS or Glass Lewis and use the voting platforms of their advisor. By essentially making a phone call and creating a link, most funds could easily report their votes in advance of public meetings like Florida SBA, which uses the ISS platform or like CalSTRS, which uses the voting platform of Glass Lewis. Revise their legislation on SRI options to include a brokerage account option for 50% of the money deposited to the Thrift Savings Plan. That would not only allow federal employees to invest in SRI funds, but also directly in SRI companies. Republicans would be more likely to support a more open-ended option, since it allows federal employees to take personal responsibility over their own financial future. Limiting them to 50% will help ensure they are less likely to gamble their retirement funds all away on bad investments.